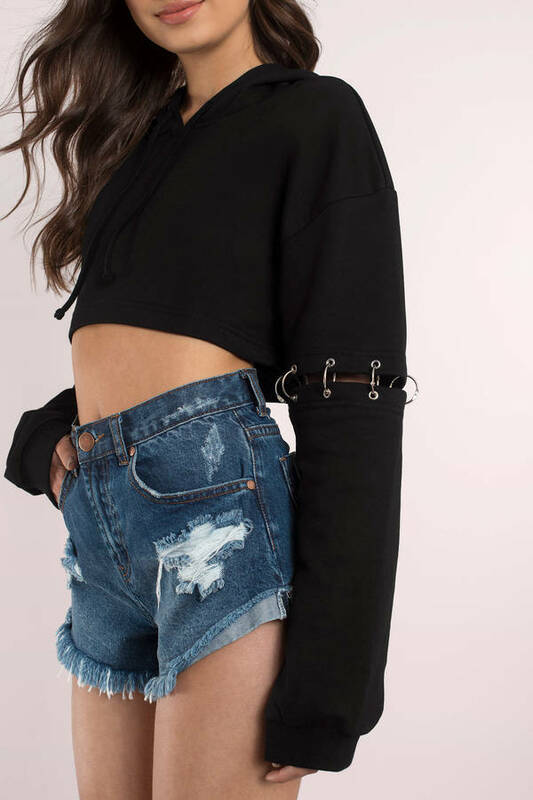 Check out Tobi's Hooked On You Cropped Hoodie The Hooked On You cropped hoodie should be in every girl's closet! Featuring a hood and drawstrings, with o-ring details at sleeves. Pair with high-waisted black sweatpants and a baseball cap. The Hooked On You cropped hoodie should be in every girl's closet! Featuring a hood and drawstrings, with o-ring details at sleeves. Pair with high-waisted black sweatpants and a baseball cap.